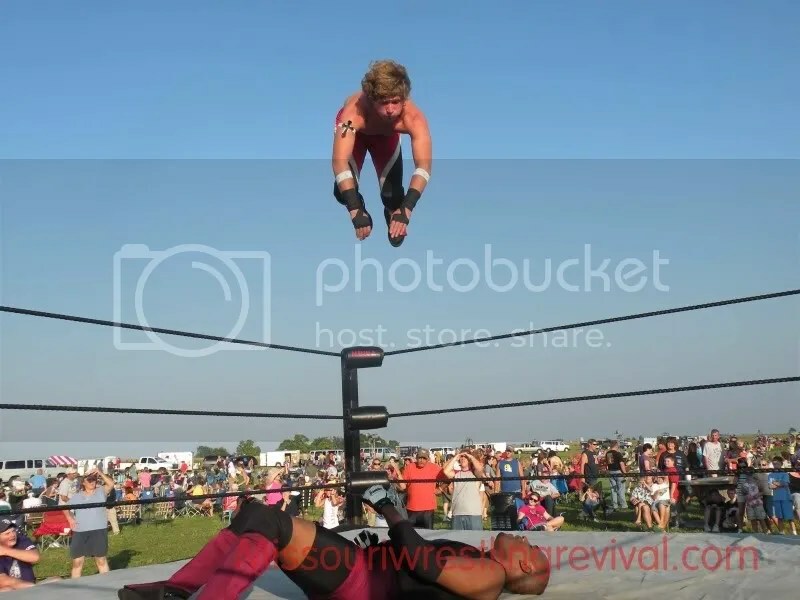 Dubray Tallman back once again with Dubi meets the fans, this time we are back with our friends at MECW in WoodRiver Illinois. MECW often calls their fans “family” and it truly is a wonderful group of people that comes out to the Knights of Columbus hall for some fun wrestling action. Brian and I have had the pleasure to be invited by MECW often in the past year that I have made some great friends including the famous Fuzzy Hat club. 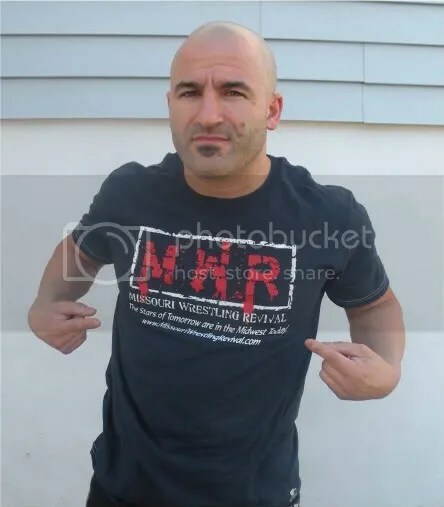 On this night fan favorite Evan Money would be the throwing out the MWR T-shirt to a lucky fan in the stands prior to his match and I was off hanging with some cool people. Their was one man in on this night that was the talk of the hall and that was Shawn Santel who I was told was coming back home to MECW. 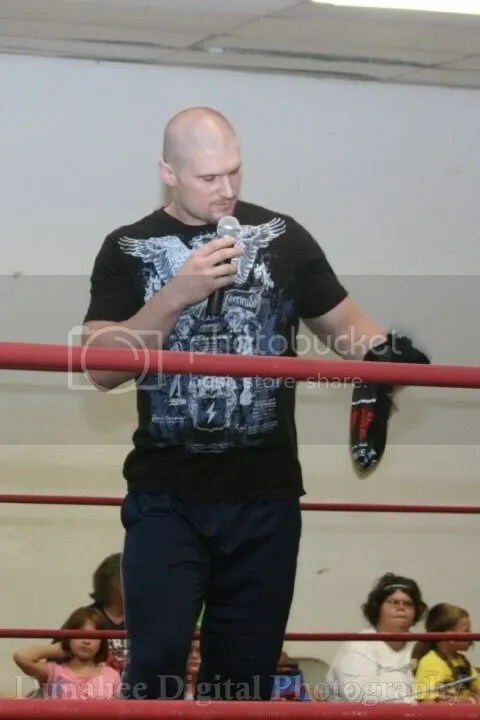 Before I even got the chance to ask if anyone wanted to be apart of DUBI meets the MECW Fans, people were coming up wanting to be a part of it and I found out quickly that many had came out to see Shawn Santel. As Shawn hung out with his fans I caught up with a little cutie Jolene from Hartford, Illinois who enjoyed the Bayou Outlaws of Maddog McDowell and Aaron Masterson. The Outlaws are one of the nicest guys in the sport and was more than happy to take the picture with her. Then I went back to Shawn Santel and got his picture taken with Junior Loeffen and then with Zach Leverett. MECW Superfan Rebecca Hacker asked if she could have her picture with Gabriel Brimstone and then I asked my fellow fuzzy hat member Panther if he would take his picture with me. Last but not least another superfan Annie who was telling us that she had purchased an autograph picture of referee Jeremy Robb so I ask Annie she would like have her picture taken with Jeremy, making him the first ever ref in the Dubi meets the fans. Brian and a few wrestlers were laughing that Jeremy had already sold more pictures this year than Huge in Japans Jimmy Rockwell. As always it was like a big party at MECW where everyone is your friend. Dubi meets the MECW Fans. 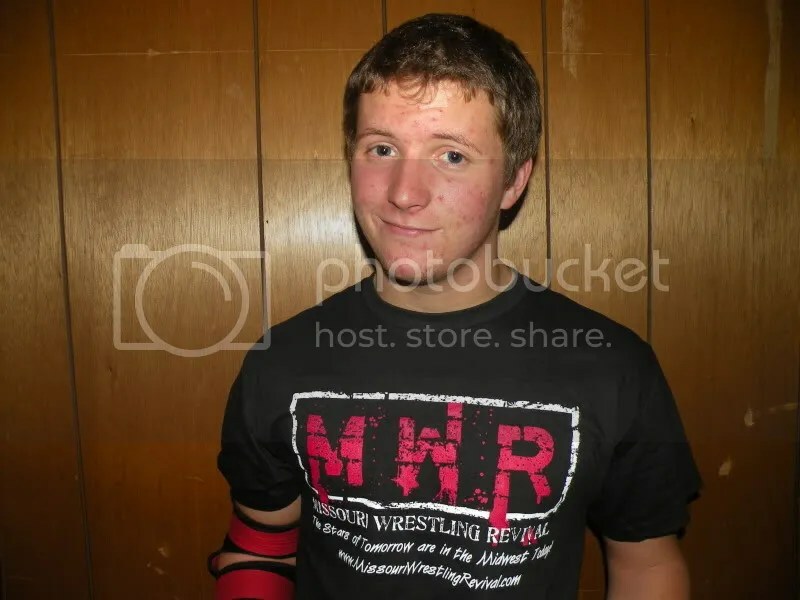 This is Dubray Tallman out and about mingling with the fans of the wrestling community. We all know as I had said before it is the fans that bring as much action as the wrestlers to the shows. 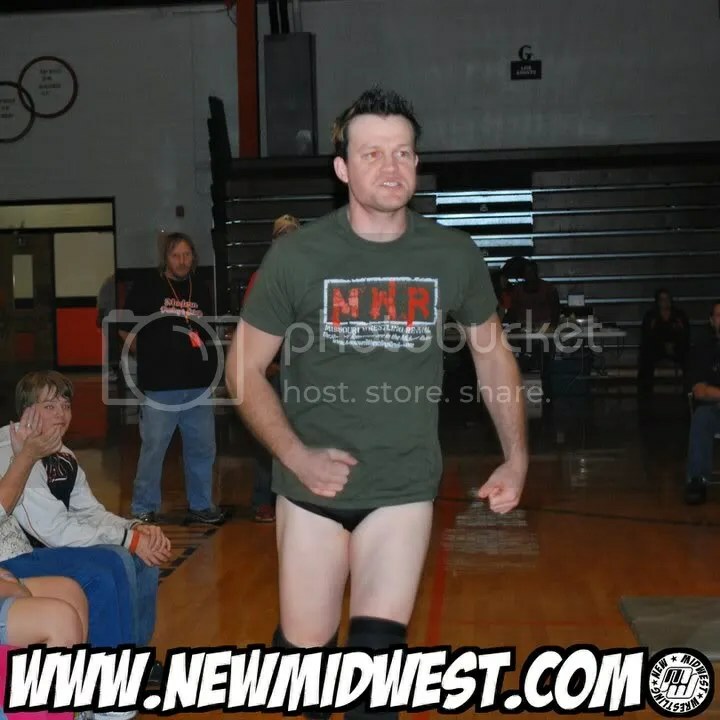 This past Saturday I was in Wood River, IL enjoying our friends at MECW. 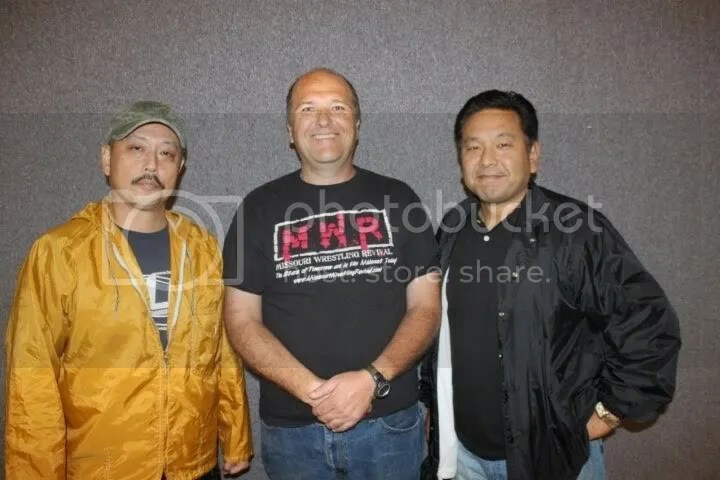 Prior to the show I had made my way through the crowd to find four fans with opinions of whom their favorites were and how long they have followed MECW. I did my best to get their favorite wrestler to pose with them during intermission. Unfortunately some fans like the bad guys of the wrestling world and I was unable to get MECW management to get those guys come out for a picture with the fans. Why can’t we all just get along?? 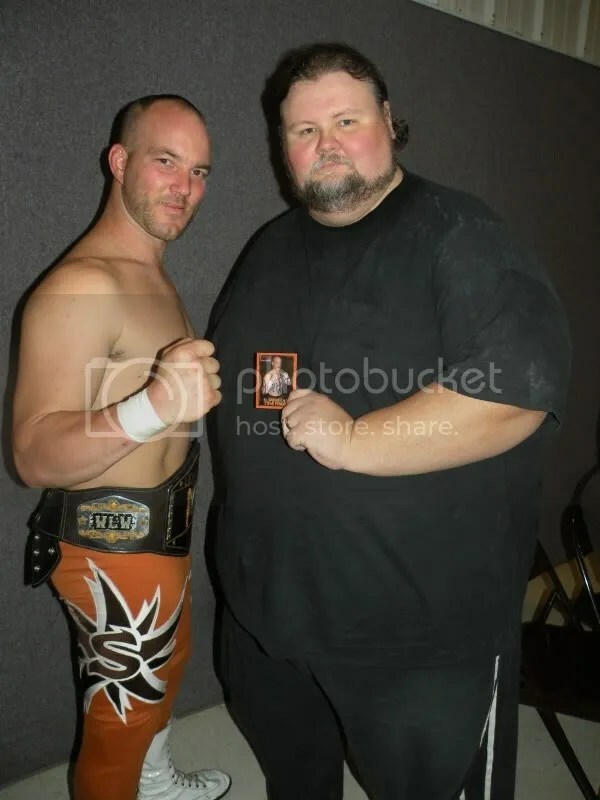 The theme of the night was that many of the fans first favorite was Dewey “Booger” Dawson who had retired at the last show so I asked them to take a moment to think of who they liked currently at MECW. 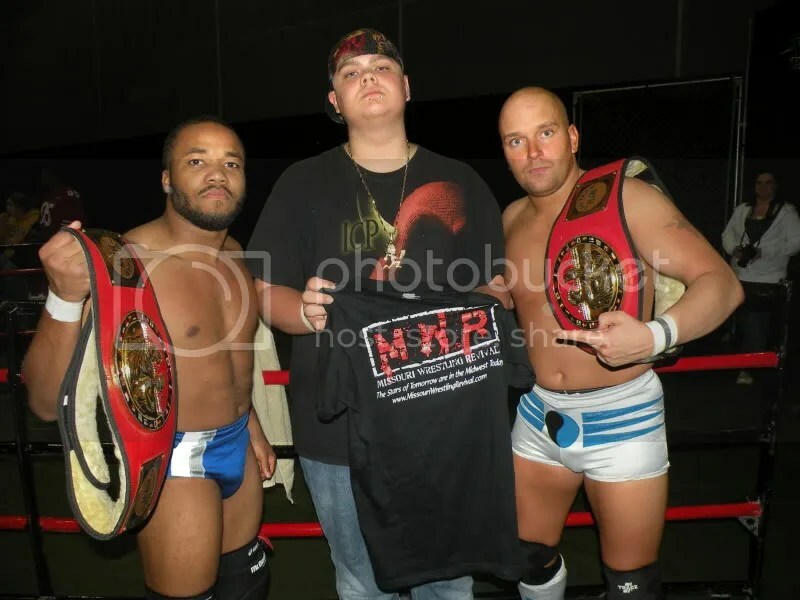 The first fan I spoke to was Kenny Busby from Wood River Illinois who had been coming to MECW since their start in. Kenny stated that his favorite was Brian Scrilla. Scrilla is one of the tough guys with a big heart and I had no problem getting that special picture with the two of them. Up next I asked my wrestling buddy and fellow Fuzzy Hat Club member/president Terry Joe Wray (Panther) from Cottage Hills, Illinois who has been following MECW since 2007. Panthers favorite was one of mine as well Krotch, but when I went to get MECW to ask for him to come out for the picture they stated that he was in “No mood after his lost to Gabriel Brimstone” Confused I asked my friend if I could take his picture anyway. 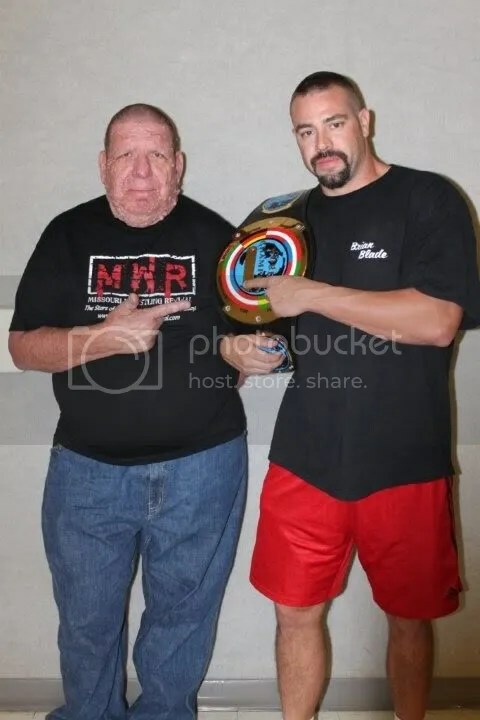 I was then able to catch up with Joe VanDuran who had traveled from Chicago, Illinois to MECW for the second time to see his favorite Bailey Mannix wrestled. I knew the answer was going to be a no because Mannix is a “JERK! !” So guess what? 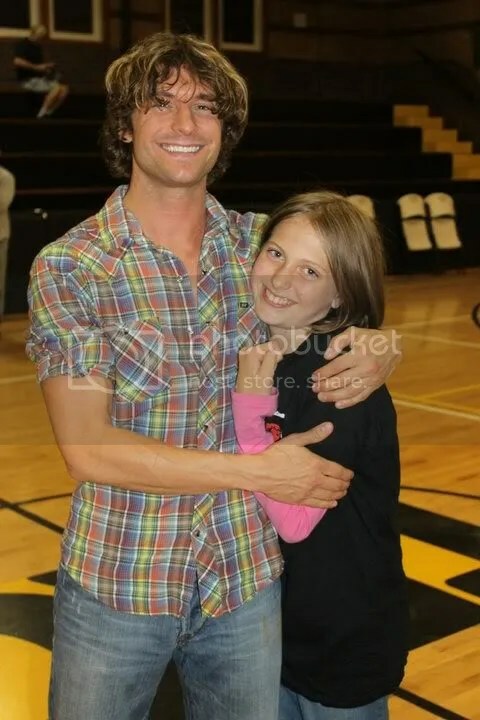 I was right so Joe said that he would be happy to take a picture with me for the site. Thank you Joe!! The fourth fan I found was Annie Smith from East Alton, Illinois who had followed MECW for at least two years. Annie told me that Krotch was her favorite as well, so I explained to her that he was “In no mood” arrhhh… I offered her to choose another wrestler and she quickly picked The Bayou Outlaws Maddog McDowell and Aaron Masterson. They were gracious enough to take a picture with her and during the excitement I forgot to ask the two tough wrestlers for a picture with me as well. A great night of wrestling until Krotch ruined it by hitting Gabrille Brimstone with a chair. I thought that they were friends. 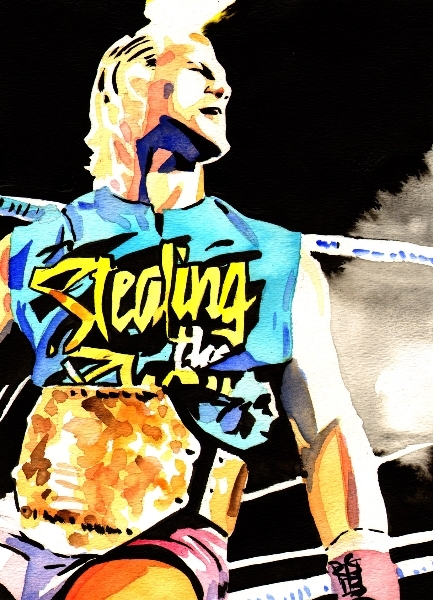 Krotch, I want you to know that your no longer one of my favorite wrestlers. I want to thank MECW for allowing me to meet with the fans and will always look forward to coming back to Wood River. 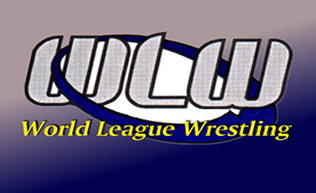 This weekend I will be at Lethal Wrestling Alliance in House Springs Missouri hoping to meet more wrestling fans. If any of the LWA fans would like to be a part of “Dubi Meets the Fans” let me know. I am hoping to do four at each show. If you are not one of the first four I know that my boyfriend Brian “Flair” Kelley and I will be back to support pro wrestling in the Midwest. For all your MECW news check out their website here. Help the MECW family feed the Needy on June 27th in Woodriver Illinois . MECW team up with the Wood River Knights of Columbus June 27th for a canned food drive show for the needy. For every 2 cans kids get in half priced. Adults bring 2 cans gets $1.00 off a ticket. You will witness a Battle Royal where the winner will be crowned the first ever MECW Great Plains Trophy Champion. 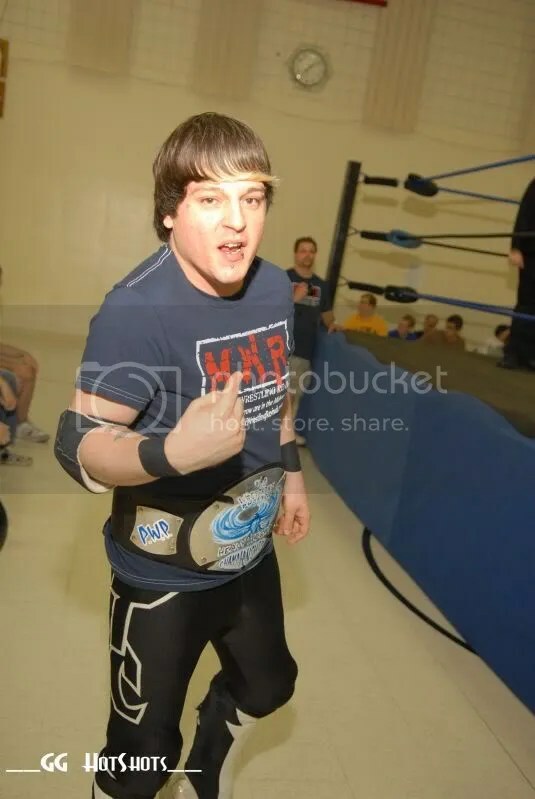 The winner of that Battle Royal will go on that night as well in the main event to get a shot for the MECW Heavyweight Championship held by “The Unbreakable” Zach Thompson. 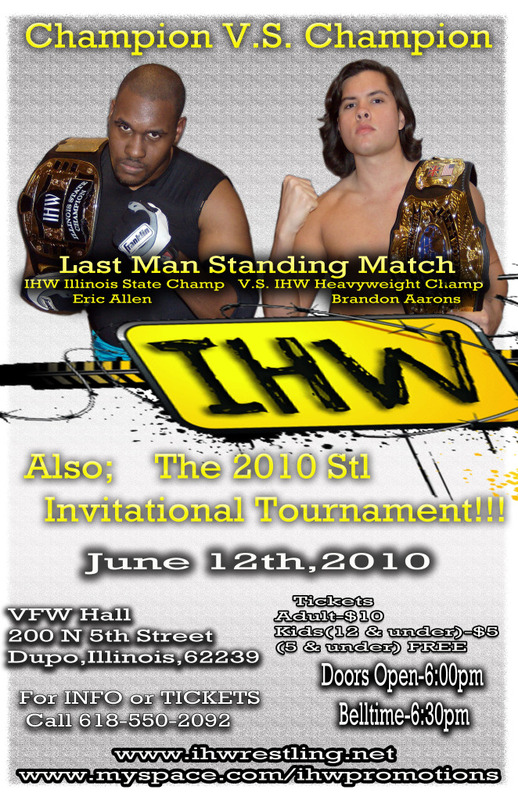 MECW Independent Championship on line Bailey Mannix vs. MECW Independent Champion Gabriel Brimstone. 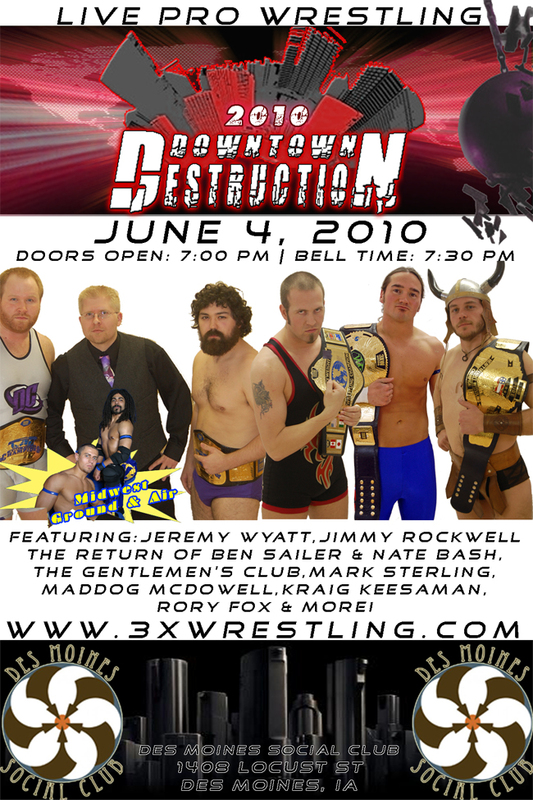 The Bayou Outlaws will be in action!!! 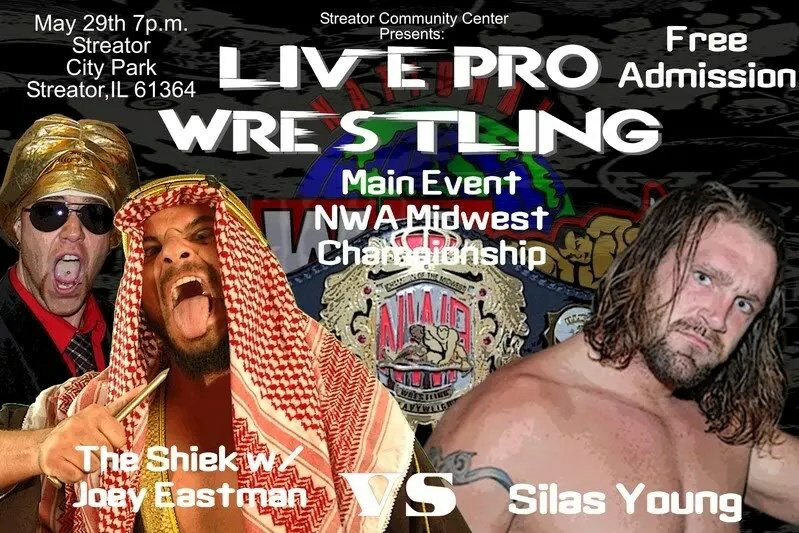 Join MECW for a full night of wrestling and help out the needy at the same time. Plus one lucky fan will have a chance to win a free MWR T-shirt. Ticket price: adult:Only $8.00 at the door. Children: $6.00 at the door.